Contact details for the Bio4Energy researchers may be accessed by clicking on the respective platform banners below. Torrefaction or roasting as a method to pre-treat woody materials to be used for production of heat, electricity or fuel. On the platform for Biopolymers and Biochemical Conversion Technologies researchers develop biocatalysts and bioprocesses, drawing on microbial conversion of forest-sourced biomass, notably. Photo used with permission. 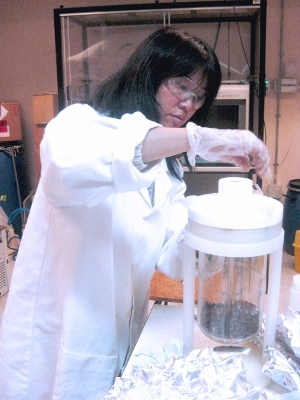 Create and develop biocomposites using nanotechnology. Video courtesy of Luleå University of Technology/viavasterbotten. 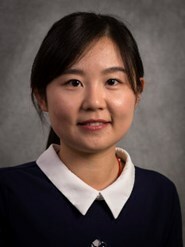 Scientists on the platform Bio4Energy Chemical Catalysis and Separation Technologies conduct world-leading research on integrated catalysis and separation processes for use in lignocellulose-based biorefinery. The research is highly multidisciplinary and focuses on the areas catalysis, materials development and integrated separation processes. Scientists on the platform Bio4Energy Environment and Nutrient Recycling perform research with the aim to render waste products or surplus energy from biorefinery useful for other processes, or to check the efficiency and sustainability of products or processes over their life cycle. Photo published with permission. 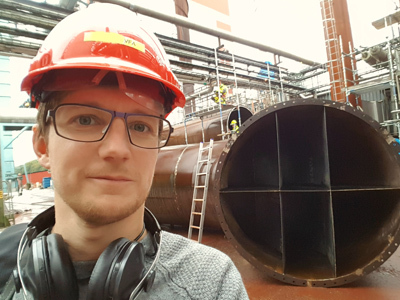 Researchers on the platform Bio4Energy Environment and Nutrient Recycling have set out to provide the checks and balances in the work of the overall research programme to create environmentally-sound and sustainable biorefinery processes. These should be made to operate efficiently and turn out energy-efficient products, as well as cause or produce no or only a minimum of environmental pollutants and undesirable by-products or waste. • That complete biomass use loops should be created. • The revision of existing and future biochemical and thermochemical conversion processes to identify potential environmentally harmful impacts and incomplete use loops. Opponent will be professor Ulf Germgård, Department of Chemical Engineering, Karlstad University, Sweden. Time and place: 10 a.m. at the KBC Building of UmU, Small Lecture Hall, KB.E3.01 (Lilla Hörsalen). Opponent will be professor Viktor Scherer, Ruhr-University of Bochum, Germany. Time and place: 10 a.m. at the E Building of the LTU, room E231. Opponent will be Dr. Ondřej Mašek, Biochar Research Centre, University of Edinburgh, UK . Time and place: 11 a.m. at the E Building of the LTU, room E231. 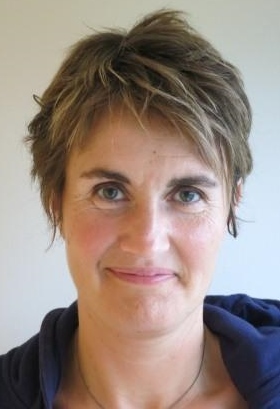 Opponent will be Ragnhild Aune, Professor, Department of Materials Science and Engineering, Norwegian University of Science and Technology, Trondheim, Norway. Time and place: From 1 p.m. at the Natural Sciences' Building of UmU, Room N360. Opponent will be professor Kevin Whitty, Professor, Department of Chemical Engineering, University of Utah, Utah, U.S.A.
Time and place: 10 a.m. at the Natural Sciences' Building of UmU, Room N430. Opponent will be Jonathan D. Beauchamp, Department of Sensory Analytics at the Fraunhofer Institute for Process Engineering and Packaging IVV, Germany. Time and place: From 9 a.m. to 12 p.m. at the KBC Building of UmU, Small Lecture Hall, KB.E3.01 (Lilla Hörsalen). Opponent will be professor Brent Sohngen, Department of Agricultural Environmental and Development Economics, Ohio State University, U.S.A.
Time and place: 1 p.m. at the Swedish University of Agricultural Sciences (SLU) at Umeå, Skogmarksgränd, Umeå. Room SLU Björken. 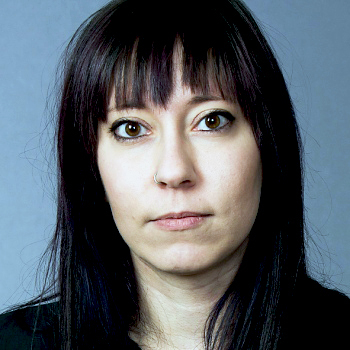 Opponent will be Professor Anne S. Meyer, Center for BioProcess Engineering, Technical University of Denmark. 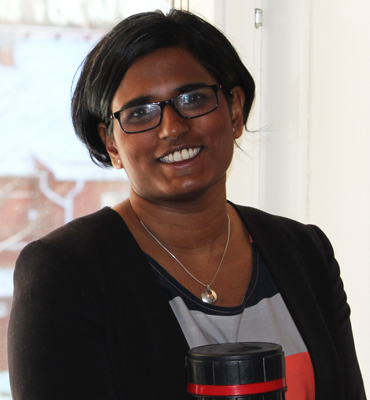 Opponent will be Doctor Maria Zevenhoven, Johan Gadolin Process Chemistry Centre, Åbo Academy University, Finland. Time and place: 10 a.m. at Umeå University, Carl Kempe Lecture Hall. Opponent will be Lars-Erik Åmand, Högskolan i Borås. Time and place: 1 p.m. at Umeå University, Natural Sciences' Building, Room N460. Opponent will be professor Brett Pletschke, Department of Microbiology and Biotechnology, Rhodes University, South Africa. Time and place: 10 a.m. at Lilla Hörsalen ("Small Lecture Hall"), KB.E3.01, KBC Building, Umeå University. Eleonora Borén and student colleague Jonathan Fagerström, both Bio4Energy Thermochemical Conversion Technologies. Video screenshot by Bio4Energy, archives. Opponent will be Capucine Dupont, Université Grenoble Alpes, Laboratory of Pretreatment of Bioresources, Grenoble, France. Time and place: 9 a.m. at Lilla Hörsalen ("Small Lecture Hall"), KB.E3.01, KBC Building, Umeå University. Opponent will be Jyrki Vuorinen, professor at Tampere University of Technology, Finland. Time and place: 10 a.m. in room E632, LTU. Opponent will be Michael Strand, proffessor at Linneaus University, Sweden. Time and place: 1 p.m. in room N460, UmU Natural Science Building. Mar Edo (right) and PhD student colleague Qiuju Gao. Photo by Bio4Energy. 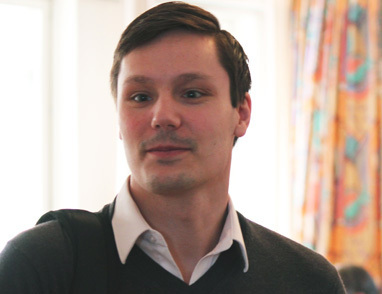 Opponent will be doctor Jonas Dahl, SP Technical Research Institute of Sweden. Time and place: 9 a.m. at UmU, small lecture hall of the Chemical-biological Building. 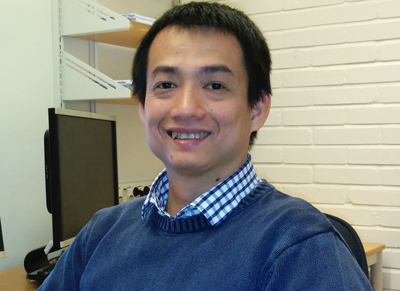 PhD student Tung Ngoc Pham will be defending his thesis Three-dimensional Structured Carbon Foam: Synthesis and Applications. 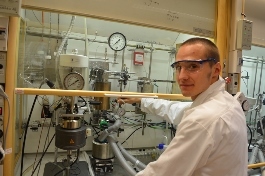 His supervisor has been Jyri-Pekka Mikkola, who is a PI on the R&D platform Bio4Energy Chemical Catalysis and Separation Technologies and a professor at Umeå University (UmU). 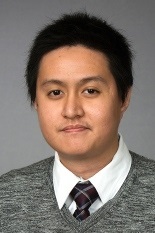 Opponent will be professor Dmitry Yu. Murzin of the Laboratory of Industrial Chemistry and Reaction Engineering, Åbo Akademi University, Turku/Åbo, Finland. Time and place: 1 p.m. at UmU, small lecture hall of the Chemical-biological Building. Opponent will be associate professor Wilfred Vermerris, Department of Microbiology and Cell Science, University of Florida, Gainesville, FL, USA. Time and place: 1 p.m. at UmU, large lecture hall of the Chemical-biological Building. Opponent will be professor Stephen Eichhorn, University of Exeter, United Kingdom. Time and place: 10 a.m. at the LTU, room E632. Opponent will be Jonas Dahl, SP Technical Research Institute of Sweden. Time and place: 1 p.m. at the SLU, room Björken. 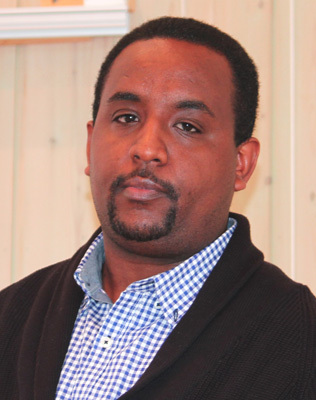 PdD student Sennai Mesfun of the Luleå University of Technology (LTU) will be defending his thesis Process integration to increase woody biomass utilisation for energy purposes. 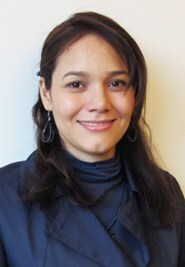 His supervisors at the LTU have been professor Andrea Toffolo of the research and development platform Bio4Energy System Analysis and Bioeconomy. 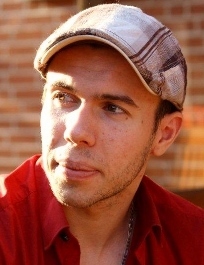 Opponent will be associate professor Francesco Fantozzi, Department of Engineering & Biomass Research Center, University of Perugia, Perugia, Italy. Time and place: 2 p.m. at the LTU, room E632. Opponent will be Bogdan Dlugogorski, dean of the School of Engineering at Murdoch University in Australia. Time and place: 10 a.m. at the KBC Building of Umeå University, in room KB3A9. Oppenent will be José Potting, professor at the KTH Royal Institute of Technology, Stockholm, Sweden. Time and place: 10 a.m. at the Chemical-biological Centre of Umeå University, room KB3B1. Opponent will be Andrew Groover, Department of Plant Biology, University of California, Davis, California, U.S.A.
Time and place: 1 p.m. at the KBC Building of Umeå University, in room KB3A9. As the name suggest, this miniconference will officially kick off the second programme period Bio4Energy, starting 1 January 2016. It is open to all the Bio4Energy researchers and their PhD students, but registration is required by e-mail to Anna Strom. There will be brief presentations of Bio4Energy's new or updated Research and Development Platforms, including their new leaders; as well as research presentations on hot topics in research on biorefinery based on wood or organic waste. Bio4Energy is also very happy to a poster-pitch presentation session for its PhD student and postdoctoral researchers. There will be time for socialising--and a few surprises revealed. So, if you are a Bio4Energy researcher, do not miss out! 18:30 Dinner at Chalmerska Huset: Only for members of the f3 Centre, SFC or participants in projects within the joint research program "Förnybara drivmedel och system"
Opponent will be Flemming Jappe Frandsen, associate professor at the Technical University of Denmark. Time and place: 1:15 p.m. at room N420, UmU. Opponent will be professor emeritus Per Stenius of Aalto University in Helsingfors, Finland and the Norwegian University of Science and Technology, Trondheim, Norway. Time and place: LTU, House E, room 246, from 10 a.m.
Bio4Energy PIs and group leaders will meet at the Umeå University Arts' Campus, Sliperiet, from lunch 20 October to lunch 21 October. The subjects of discussion will be a possible second operational period for the research environment of five years from 2016 and its funding. Opponent will be professor Simon Hawkins, Department of Functional and Structural Glycobiology, University of Lille, France. Time and place: Umeå University, KB3A9 Small Lecture Hall, from 1.30 p.m. All welcome. seminar on his latest work strategies to modulate lignin in tree biomass. His breakthrough strategy has been to use genes isolated from bacteria living off the lignin residues from pulp mill stream into poplar wood to modify in vivo the wood structure. Bio4Energy researchers who would like to discuss with Prof. Kajita on Thursday 24th September are asked to contact Edouard Pesquet to set a meeting time. When: 24 September 2015 at 2 p.m.
Bio4Energy is an official partner to this conference which full name is International Advanced Biofuels Conference – For Aviation, Maritime and Land Transport. Held for the first time, and at a venue close to Stockholm-Arlanda Airport, it will bring together academia and industrial representatives (from companies and constellations such as Abengoa, Avinor, Boeing, Bioenergy 2020+, Nestle, Preem, SCA, SkyNRG, Swedavia, Wärtsilä and UNICA) with relevant politicians and policy makers to discuss the future of biofuels, with a focus on advanced biofuels. A preliminary conference programme and registration is available through the conference homepage. Starts 17 August 2015 at 11 a.m.
Ends 21 August 2015 at 1 p.m.
Angela Violi, University of Michigan, U.S.A. Session Keynote: Biomass combustion air pollution and health effects. 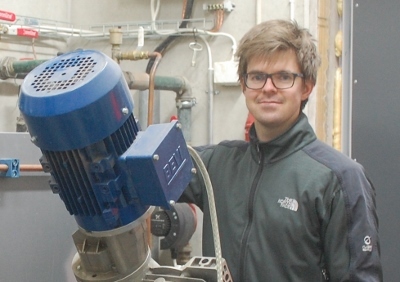 Umeå University PhD student Martin Strandberg (formerly Nordwaeger) will be defending his thesis From torrefaction to gasification: pilot scale studies for upgrading of biomass. His advisor at Umeå University has been professor Anders Nordin who is a member of the Bio4Energy Pretreatment and Fractionation Platform. Opponent will be Jaap Kiel, professor at Technische Universiteit in Delft, the Netherlands. Time and place: Umeå University, Natural Sciences' Building, room N450, from 1 p.m. Opponent will be Bengt-Johan Skrifvars, associate professor at Åbo Akademi in Finland. Time and place: 25 May 2015 from 1 p.m. at Umeå University, KBC Building KB3A9. The Umeå Renewable Energy Meeting—an annual international scientific seminar with a focus is on the latest trends in renewable energy research—2015 is said to have a "Bio4Energy profile". Two Bio4Energy researchers are at the helm of its organisation and part of the organising committee. Other programmes at Umeå University and the Swedish University of Agricultural Sciences supporting the event are BioImprove, Trees and Crops for the Future, Solar Fuels and the Artificial Leaf Project. Wim Vermaas, Arizona State University, U.S.A.
Lee Lynd, Thayer School of Engineering at Dartmouth, Hanover, U.S.A. Registration for UREM 2015 is available here. Starts 19 March 2015 at 8 a.m.
Ends 19 March 2015 at 5 p.m.
Venue: Luleå University of Technology, room E231. A Carbohydrate Seminar on High-performance Anion-exchange Chromatography with Pulsed Amperometric Detection (HPAE-PAD) for carbohydrate analysis, i.e. 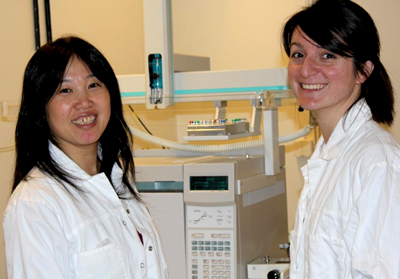 the Dionex UHPLC system will be held by Bio4Energy researchers at the Luleå University of Technology. The seminar will feature Dr. Detlef Jensen from ThermoFisher Scientific and will include a discussion on analytical capabilities (amino acids, water analysis) when using the Corona CAD Charged Aerosol Detector. All welcome. Lunch and coffee will be provided to attendees who have registered. Technology and market conditions for fossil free fuel use in road, marine and air transport. 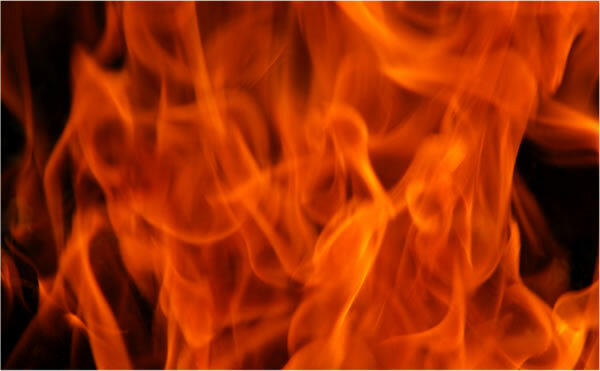 Special focus on recent developments in combustion technology and tailor-made biofuels. The role of policy, sustainability and transitional barriers for increasing production and use of renewable fuels in transportation. The session includes a discussion on required research and development in a European context. Registration is available here: http://www.chalmers.se/en/areas-of-advance/energy/events/Pages/f3day.aspx. 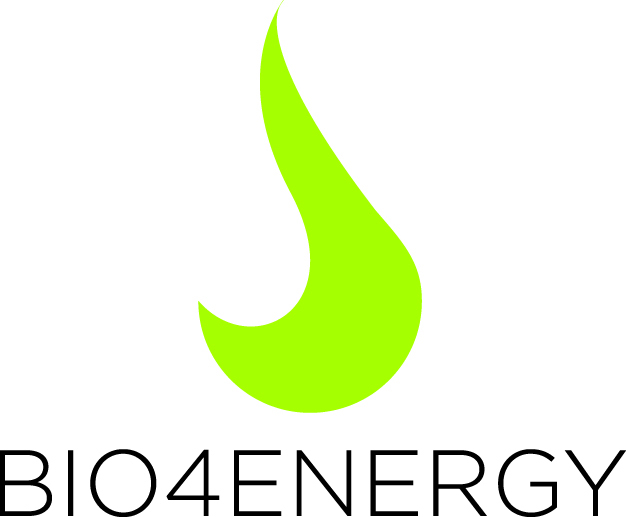 Bio4Energy is a member of the Swedish Knowledge Centre for Renewable Transportation Fuels, f3 Centre. Further information will be posted here in January 2015. Venue: Swedish University of Agricultural Sciences at Umeå. Room 'Björken'. Venue: Stora hörsalen ("Large Lecture Hall"), KBC Building, Umeå University. Energimyndigheten bjuder in till seminarium om svenskt deltagande i IEA:s aktiviteter inom industrisektorn. An Industrial Network Meeting will be held jointly by Bio4Energy and SP Processum, including a tour of the pilot facilities available to the biorefinery cluster at Umeå and an afternoon session of talks designed to bring industry and academy closer together. More information will be posted here closer to the date. A warm welcome to our partners and friends in industry, the academy and at research institutes! 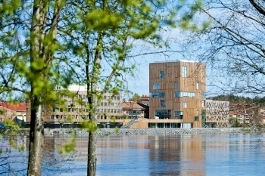 The Lignin 2014 conference will be held at the newly built river-side Arts' Campus of Umeå University, at Umeå, in the city centre of 2014 European Capital of Culture. The conference will discuss the following topics: The Lignin 2014 Organisation Committee. Photo by Anna Strom©. New applications for lignin and lignin derivatives. A visionary video about Sliperiet, the Lignin 2014 conference venue The Lignin 2014 venue: Umeå university's newly buit Arts' Campus - Sliperiet. Photo published with permission.situated in downtown Umeå, and a note on its history. Registration is available here until 8 August 2014. Submit your abstracthere by 2 August 2014. 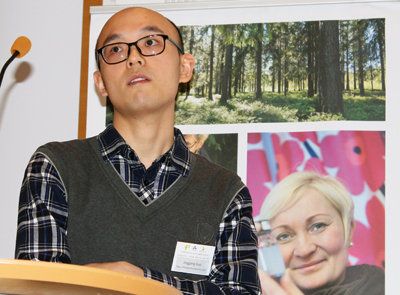 Bio4Energy and the UPSC bid participants and speakers a warm welcome to Lignin 2014 and Umeå, the 2014 European Cultural Capital. The purpose of the course is to give biology students an overview and basic understanding of the kraft pulping process in technical, chemical and economical terms. A special focus will be placed on the properties of the raw material and on applying genetic engineering in tree breeding with a view to obtain improvements in the pulping process. 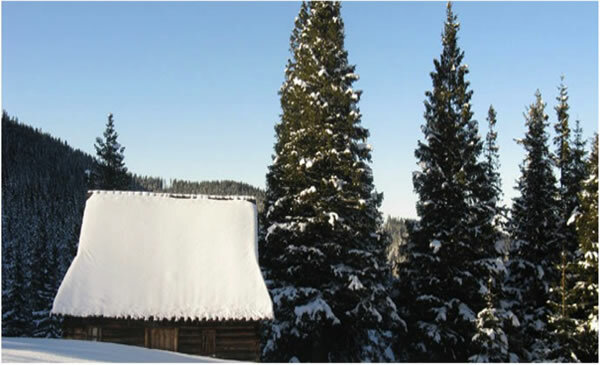 The course consists of lectures, discussions and an on-site visit to pulp and paper operations. Students will have to pass a written examination to pass the course. How can GMO trees improve kraft pulping?. X-ray Diffraction (5 hp/ECTS credits) – September 2014. Each course contains 6-7 lectures describing the theory behind each instrument technique, the structure of the instruments, and the types of analyses that can be made using these techniques. They also include two laboratory exercises where the participants will have a chance to become familiar with the state-of-art equipment available at the Division of Chemical Engineering. Click here for more information regarding the instrumentation. Each course is concluded by a written examination or student assignment. The grades given are Pass or Fail. - Participant's contact information (e-mail and phone number, please). 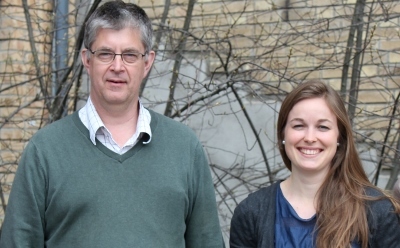 A Spring Bio4Energy Researchers' Meeting will be held in the vicinity of Umeå, Sweden, from lunch to lunch. A key discussion point will be B4E operational strategy and projects for 2015-2020. All B4E researchers are kindly requested to attend. For the sixth time the Chemical-biological Centre at Umeå University will host the Umeå Renewable Energy Meeting, which is in fact an international symposium focusing on the types of renewable energy research which are carried out at Umeå University (UmU) and the Swedish University of Agricultural Sciences (SLU), co-hosts also of the Umeå Plant Science Centre. 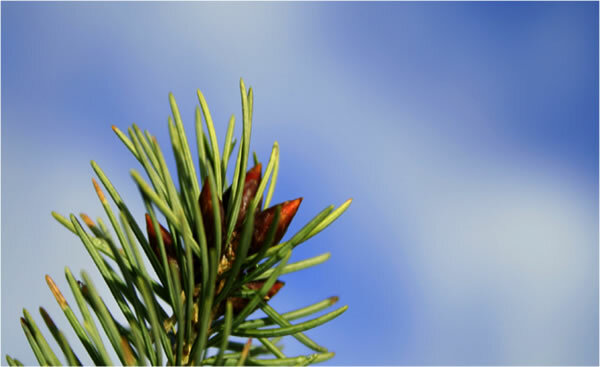 The following Umeå-based research programmes or research environments are represented: Solar Fuels, Artificial Leaf Project, Bio4Energy, BioImprove and Trees and Crops for the Future. 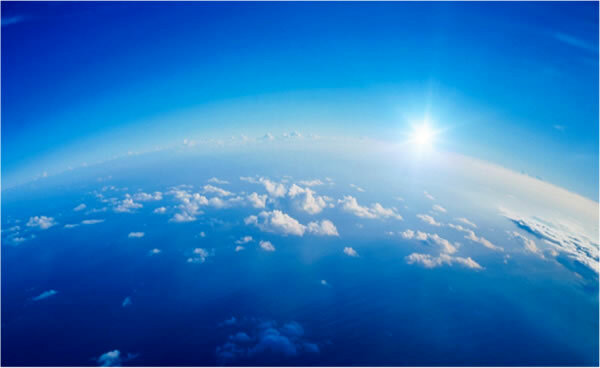 The symposium will cover a broad range of topics including global energy and climate change research, artificial and natural photosynthesis, hydrogen production using microorganisms and bioenergy. This meeting is open to the public as well as researchers and student interested in renewable energy. The programme includes a poster session, presentations and social activities. The meeting has been growing over the years and in 2013 had 250 participants. The symposium is being organised together with the KBC Graduate School. PhD students who participate with a poster will receive a certificate from KBC Graduate School worth one university credit (ECTS). Registration is available under this link until 10 March. Details: SLU researcher Ingegerd Backlund will be defending her PhD thesis. Opponent is Dr Duncan Macquarrie, Chemistry Department, Green Chemistry Centre of Excellence, University of York, U.K.
SLU Department of Biomaterials and Technology. 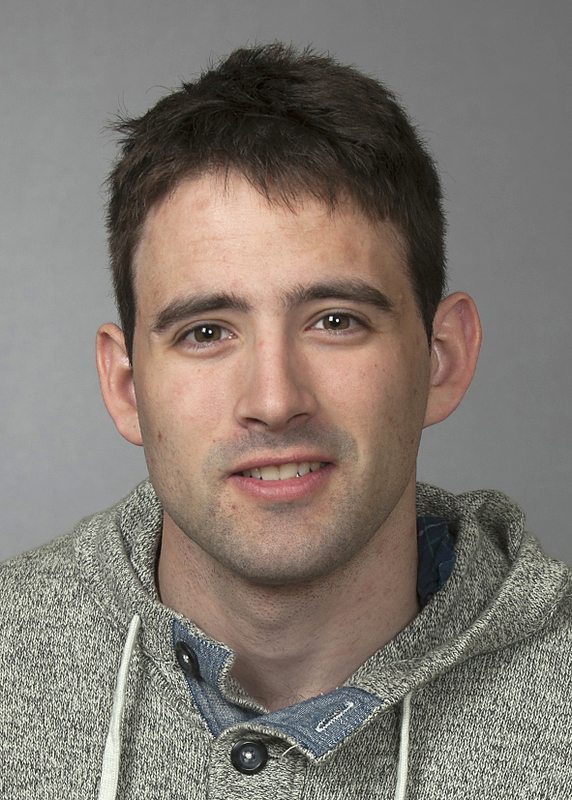 Details: Benjamin Bollhörner of the Bio4Energy Feedstock Platform will be defending his thesis on the Significance of hydrolytic enzymes expressed during xylem cell death. Faculty examiner will be Dr Moritz Nowack of the VIB Department of Plant Systems Biology at Ghent University, Belgium. 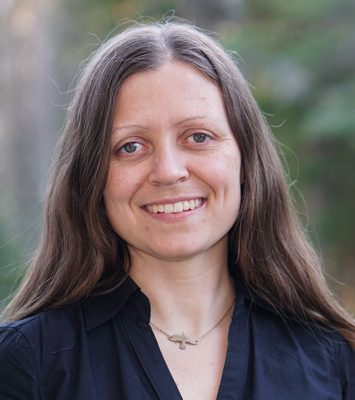 Student supervisor has been Hannele Tuominen of the Bio4Energy Feedstock Platform and the Umeå Plant Science Centre. B4E Pretreatment and Fractionation Platform. The inauguration will start at 6:15 p.m. at the site of the Fornax BTX Facility. This is located at a combined heat and power installation adjacent to the Umeå University main campus. BioEndev, Umeå Energi and the Processum Biorefinery Initiative are some of the partners to this event. Illustration (right) by courtesy of Anders Nordin. Guest speaker will be Emile van Zyl, Senior Chair of Energy Research in Biofuels, University of Stellenbosch, South Africa. The seminar is hosted by Stellan Marklund and will meet from 1:30 p.m. at the "Small Lecture Hall" (Lilla hörsalen) KB3A9 at the Umeå University KBC Building (Chemistry and Biology complex). 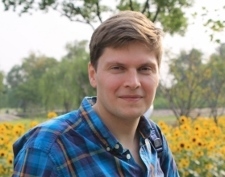 Guest lecturer will be Bogdan Dlugogorski from the Priority Research Centre for Energy, Faculty of Engineering & Built Environment of the University of Newcastle, Callaghan, Australia. Where: Premises of Processum Biorefinery Initiative and the Domsjö Fabriker biorefinery, both at Örnsköldsvik. When : 09:30 a.m. to 3:30 p.m.
10:00 Information about the new department - P-O Bäckströms sal/Large auditorium, 6th fl. 14:15 Bus leaves for Röbäcksdalen from entrance at 4th fl. 14:30 Visit of BTC pilot plant and inauguration of new biomass dryer. Coffee will be served. assessment, and to train students in the so-called HAZOP method. 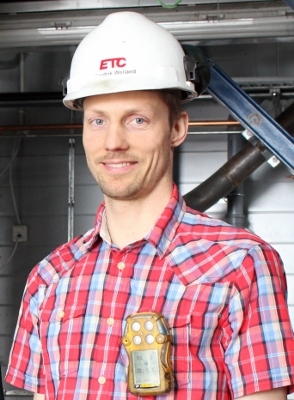 Credits: 7.5 ECTS for PhD students at universities connected to the Swedish Centre for Biomass Gasification (SFC). This meeting is open to all Bio4Energy researchers and will partly coincide with the first course of the Bio4Energy Graduate School. Registration is open until 29 April. 13:00-13:05 Welcome, Lars Josefsson, INEOS Sweden Ltd.
13:30-14:30 Advanced biofuel solutions: INEOS Bios technology, Graham Rice, INEOS Bio Ltd. 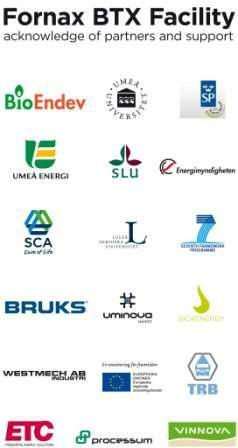 The Bio4Energy Graduate School will officially begin its works on 19-20 March 2013 with a grand opening conference to be held in Skellefteå. On Day 1, from 10.00 to lunch, keynote lectures will be given by well-known guest speakers, while presentations given by PhD students and post-doctorate student will take up the rest of Day 1 and all of Day 2. PhD students and PostDocs are encouraged to submit their abstracts. The best one will be awarded a Solander prize. The conference is dedicated in particular to PhD students and PostDocs, who will not pay a fee to attend the conference. This is an opportunity for them to present their research, exchange ideas and knowledge and enhance their own networks. Industrial partners and PhD student supervisors are welcome to attend, but will be charged a fee. The conference will be given annually, and participation in at least two of these conferences will be required for graduation. More information about the conference and abstract submission will be sent out after the Christmas vacation, but in the meanwhile book your calendars! 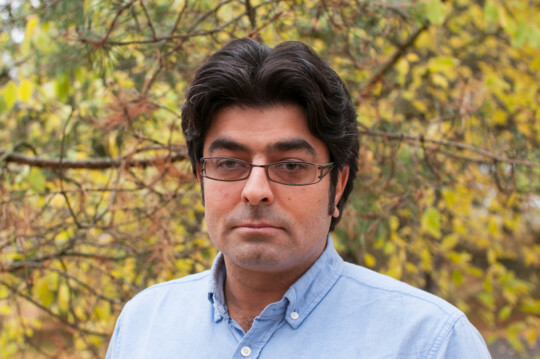 The Chemical Biological Centre (KBC) at Umeå University play host to this meeting which has sessions dedicated to the kind of research that Bio4Energy conducts. The KBC homepage says: "The meeting aims to strengthen and display our efforts towards research in the renewable energy field that is carried out within several strong research environments and research programmes at Umeå University and the Swedish University of Agricultural Sciences: Solar Fuels, Artificial Leaf Project, Bio4Energy, BioImprove and Trees and Crops for the Future". PhD students who participate with a poster receive 1 ECTS certificate from the KBC Research School, the announcement says. The Organising Committee is made up of Bio4Energy members Johannes Messinger, Leif Jönsson, Johannes Hanson, Hannele Tuominen and Per Gardeström. 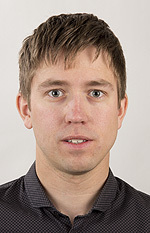 Göran Samuelsson is also part of the committee. 16:05 Catalytic conversion of syngas over CO catalysts, Henrik Romar, Researcher, Kokkola University Consortium Chydenius / Ulla Lassi, Professor, Kokkola University Consortium Chydenius. 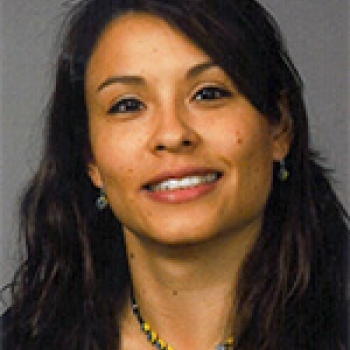 Martha Herrera, Nanostructured materials isolated from bio-residues and their characterisation, Luleå University of Technology, room E632 at 1 p.m.. The Swedish Centre for Biomass Gasification (SFC) consists of three research nodes that focuses on three different gasification principles. Regardless of gasification principle there are certain aspects of the conversion of fuel particles and gas phase reactions that are the same. 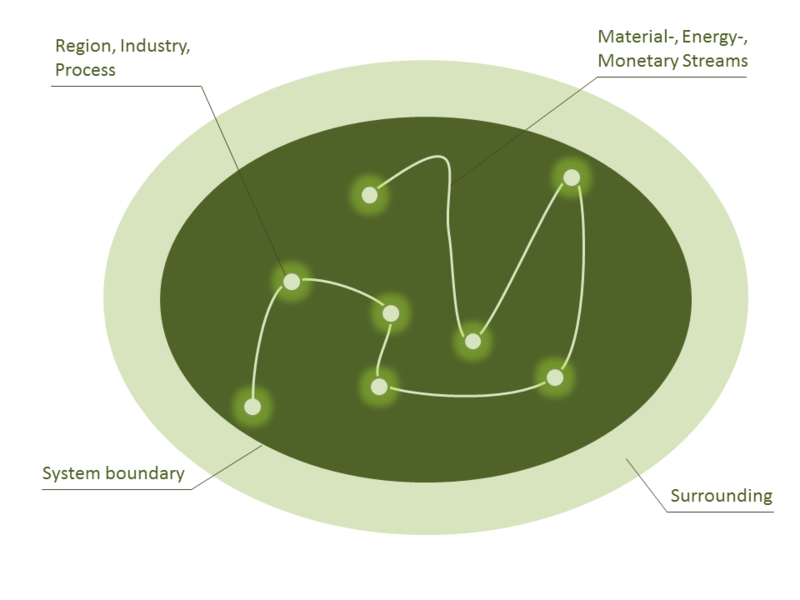 However, each gasification principle presents a unique set of challenges for the modelling researcher. This workshop is intended to bring together specialists and engineers with an interest in modelling and to create an environment for the sharing knowledge that hopefully will speed up the development of gasification models. The workshop has two parts, the first focusing on the microscopic details of fuel conversion and the gas phase reactions (sub models). The second targets the macroscopic behavior of the different reactor types (reactor models). The workshop will be made up of presentations and a discussion about the models and sub models. Workshop dinner. All participants are invited to join a dinner on the evening before the workshop. Linda Sandström, High Flux Zeolite Membranes for Efficient Production of Biofuels, Luleå University of Technology, 10 a.m. in room C305. Bio4Energy and the Solander Science Park will be co-hosting a Bioenergy conference at the annual Nolia Energy and Environmental Week. The conference will discuss international front line research on biorefinery and bioenergy made from forest-sourced raw materials or organic waste. Innovation and the commercialisation of research results will be a special focus of the Energy and Environmental Week which seeks to attract business leaders, industry representatives, policy makers, researchers and those interested in research and innovation aimed at developing tools and methods for conducting efficient and sustainable biorefinery. Registration will be available by mid September on the Nolia (conference organiser) website. check your status with the course coordinator/your contact among the organisers.